Routine oral care to treat gum disease may play a role in reducing inflammation and toxins in the blood and improving cognitive function in people with liver cirrhosis. A single treatment using an optimized, targeted form of faecal microbiota transplantation (FMT) produces sustained clinical and cognitive improvements, according to the results of a long-term follow-up of patients with liver cirrhosis and hepatic encephalopathy (HE) who had participated in a short-term study. The microbiome is the collection of microorganisms that colonize the human body. Dr. Jasmohan Bajaj discusses the relationship between the microorganisms in the gut and cirrhosis, and how microbiome analysis can be used to predict the risk of cirrhosis-associated hospitalizations. Alcohol is the leading cause of liver cirrhosis and liver-related deaths. Results of a large long-term study in Sweden have confirmed that drinking during late adolescence could be the first step towards liver problems in adulthood and that guidelines for safe alcohol intake in men might have to be revised downwards, reports the Journal of Hepatology. A newly released study published in the Journal of Immunity, Inflammation and Disease and conducted by the Sapienza University of Rome, Italy, found a multi-strain, high concentration, probiotic formulation that helped reconstitute the physical and immunological integrity of the gastrointestinal lining in HIV-1-positive patients on antiretroviral therapy. 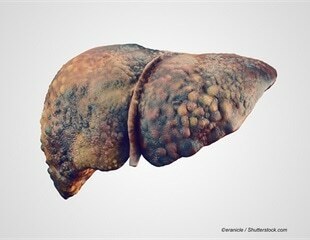 More patients hospitalized with acute liver failure - often the result of acetaminophen overdose - are surviving, including those who receive a liver transplant and those who don't, an analysis led by a UT Southwestern Medical Center researcher showed. ELPA today launched a new call to action report ‘Time to DeLiver: Getting a Grip on HE’ at the European Parliament in Brussels. This is the first report from Europe to highlight the significant burden of hepatic encephalopathy on patients, their carers, families and society. Valeant Pharmaceuticals International, Inc. announced that its wholly owned subsidiary, Salix Pharmaceuticals, Inc., has received approval from the U.S. Food and Drug Administration for Xifaxan 550 mg for the treatment of IBS-D in adults. The Chronic Liver Disease Foundation announced today that it's collaborating with Walgreens to offer free hepatitis C (HCV) testing with the OraQuick HCV Rapid Test at more than 60 Walgreens retail pharmacies in 12 major cities throughout the country. Pharma Major Lupin Limited announced today that its Canadian subsidiary, Lupin Pharma Canada Limited (collectively Lupin) has launched its first Brand product Zaxine under a strategic licensing agreement with the North Carolina based GI specialty company Salix Pharmaceuticals Inc. In a recent study, Virginia Commonwealth University School of Medicine researchers predicted which cirrhosis patients would suffer inflammations and require hospitalization by analyzing their saliva, revealing a new target for research into a disease that accounts for more than 30,000 deaths in the United States each year. Cirrhosis and nonalcoholic fatty liver disease (NAFLD) are two serious liver conditions with limited pharmacological treatments. The December issues of AGA's journals -- Clinical Gastroenterology and Hepatology and Gastroenterology -- highlight important updates into treatments for these two debilitating diseases. A European ICT for Health project aims to improve the quality of life of patients with chronic liver disease, by developing a remote support system to monitor their condition at home. A common drug used to clean a person's bowels before a colonoscopy could become the future standard of care for patients with acute hepatic encephalopathy (HE), a mental disorientation problem that affects up to one in two cirrhosis patients. Scientists from INRA in collaboration with a Chinese team found that the gut microbiota of individuals with liver cirrhosis differ notably from healthy individuals', showing a high proportion of oral bacteria. Probiotics are effective in preventing hepatic encephalopathy in patients with cirrhosis of the liver, according to a new study in Clinical Gastroenterology and Hepatology, the official clinical practice journal of the American Gastroenterological Association. Hepatic encephalopathy is a deterioration of brain function that is a serious complication of liver disease. Salix Pharmaceuticals, Ltd. today announced financial and operating results for the first quarter ended March 31, 2014, and other business updates. New data presented today at the International Liver Congress show the impact of hepatic encephalopathy on liver disease patients and healthcare systems. Phase 2 trial results published in the March issue of Hepatology, a journal of the American Association for the Study of Liver Diseases, suggests the potential for Glycerol Phenylbutyrate (GPB) to reduce hepatic encephalopathy episodes in patients with cirrhosis, with a safety profile similar to placebo.